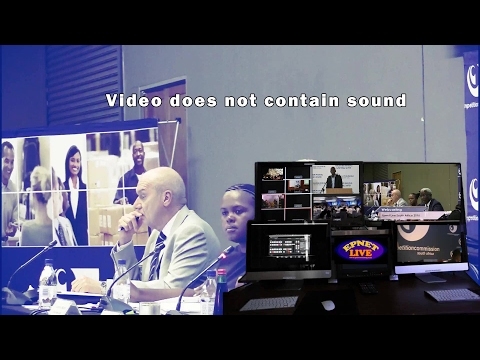 Webcasting Epnet » Benefits of using multiple sources for live streaming Live Streaming. First, let’s take a quick look at the reasons why you may want to use multiple sources for live streaming. For starters, multi-camera live streams are more professional. They create a higher production value. Switching between multiple camera angles and content sources is the bread-and-butter of professional-grade broadcasters. TV stations, cable channels, and well-produced internet broadcasts all use multiple sources for better communication and greater aesthetics. How to broadcast live video – switching multiple cameras using multiple sources for streaming also makes it easier to add effects. That’s because you can prepare and test effects on a given source when it’s offline. Meanwhile, another source can be used as the main broadcast source. This gives you more flexibility for editing and adding effects on-the-fly. There are costs to this. With added complexity comes a greater need for equipment and staff. Still, these costs are well worth it! For a multi-camera shoot, you will obviously need multiple cameras. We recommend that when possible, you use the exact same camera. This provides the same color, resolution, dynamic range, and so on. Using cameras from different manufacturers can cause problems with footage looking different. In some cases, using different cameras will be unavoidable. In this case, be sure to thoroughly test your cameras before using them to ensure they don’t clash horribly with one another. It is possible to get the look of a multi-source shoot without using multiple cameras. For example, you can use pre-recorded video clips within a live stream. Cutting to these pre-recorded clips mixes up the visual experience. The next important key when it comes to how to broadcast live video from multiple sources is switching. Switching is essentially the process of selecting which source will be broadcast in a live feed at any given time. Switchers come in both hardware and software versions. Hardware switchers tend to be more robust and reliable, but are also more expensive. With a hardware switcher, video sources are connected directly to a panel or rack-mounted unit (usually via SDI or HDMI, sometimes via Ethernet). A display panel is either built in or connected externally. Buttons on the device allow the operator to switch between sources instantly. Any switching software or hardware platform will include a method for inserting this sort of content with minimal fuss. Usually, switching to a non-camera source is as simple as hitting a button or selecting content. Overlaying titles, graphics, or other material is straightforward as well. Camera operators and techs should arrive early and begin setup well in advance. Camera angles should be chosen and a location selected for the studio/switcher. Cables are run and taped securely. No tripping! Encoders, computers, and switchers are set up and tested with the cameras. A full live-streaming test is conducted. We recommend testing at least twice, and on multiple end-user devices. We recommend starting the main event live stream well before the event starts, showing an animated graphic (perhaps with a countdown). When the event begins, the switch operator switches to a camera view. You’re live! Throughout the show, switching between multiple cameras will provide an interesting and focused main view. The director / producer /engineer is in charge of this. Ideally, each camera will record its own feed to local storage (ISO), and the main program feed will also be recorded (locally, via OVP, or both). All those video signals feed into a single live video switcher, which is the magic box that allows the director to choose which camera angle he or she wants to make ‘live,’ and then to cut from view to view. Our video company will also need to create and upload the lower third titles if your event features speakers or a panel discussion. If your event is a performance, you may not need titles. If the speakers are projecting Powerpoint slides, our software will run the slides of the speakers using software, so the slides can be added to the video stream. And, you’ll also need an audio feed. If you’re using an AV company to provide room audio, they will send the audio feed to our video team. It’s not unusual to find that one or more components need adjustment. This is when our video crew will fine-tune cameras, adjust tripod height, double-check cable connections, and test stream to make sure all is well with your Internet connection and the streaming service. About 15 minutes before show time, camera operators will go to their cameras and make final tweaks to their shots until the director is satisfied. Then, a few minutes before the event commences, they’ll start recording.